He is considered the most important popular singer of all times in Portugal. This song "O SOL ANDA LÁ NO CÉU", that we can translate as "The sun is in the sky", has been recorded for the first time by him in 1953. 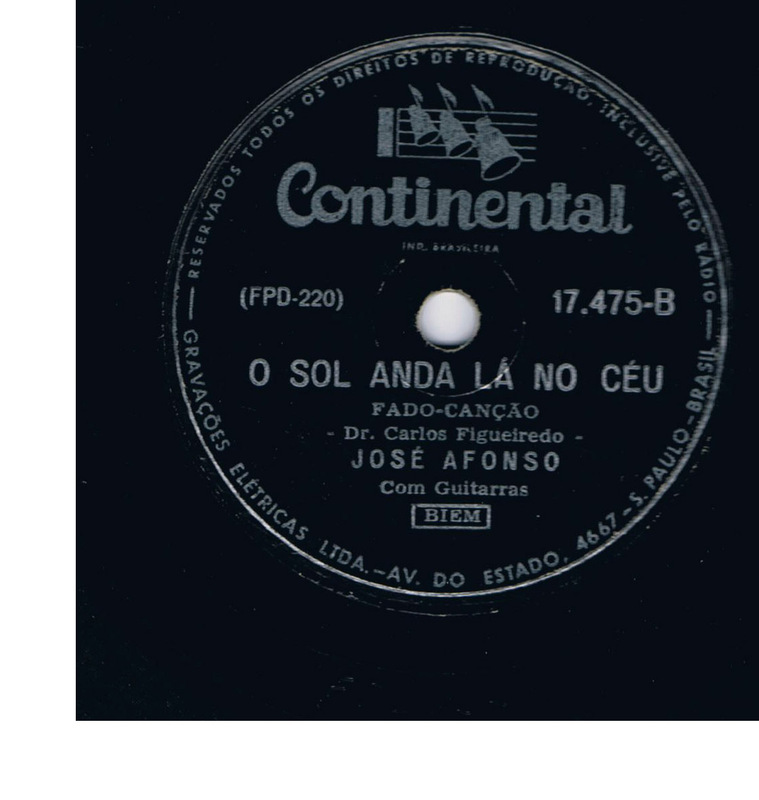 This was one of the recordings made by him for the label Alvorada, lately reproduced by the brasilian Continental, as shown here. Já que o luar me enganou.